In a medium bowl, whisk the flour with the baking soda and salt. In a medium saucepan, melt the butter over moderate heat. Remove the saucepan from the heat. Whisk in the brown sugar, corn syrup, ginger, cinnamon, cloves, black pepper and cayenne. Stir in the egg until well combined. Add the dry ingredients and stir until no streaks of white remain. Scrape the dough onto a work surface and pat into a 7-inch square. (It will be soft and little sticky.) Wrap in plastic and refrigerate until firm, at least 3 hours or overnight. Preheat the oven to 375°. Line 3 rimmed baking sheets with parchment. On a lightly floured surface, roll out the dough 1/4 inch thick. Using 3- to 4-inch cookie cutters, stamp out shapes and transfer to the prepared baking sheets. Reroll the scraps and stamp out more shapes. (You should have about 36 cookies.) Freeze the cutout dough until chilled, about 10 minutes. 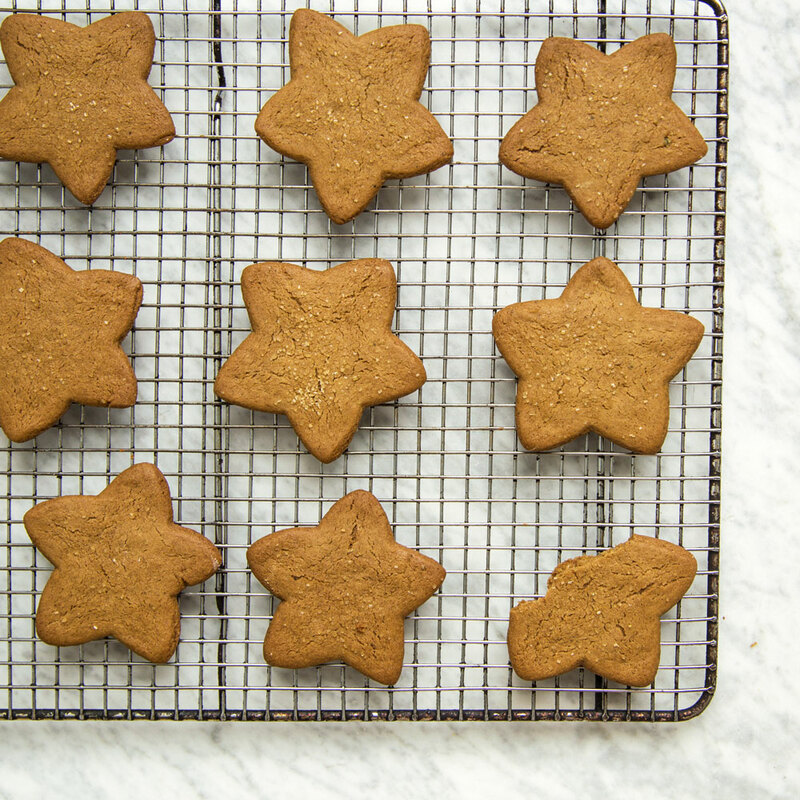 Sprinkle the dough with turbinado sugar and bake for 12 minutes for chewy cookies or 14 minutes, for crisper cookies. Transfer to a wire rack and let cool completely. The cookies can be kept in an airtight container for a week.